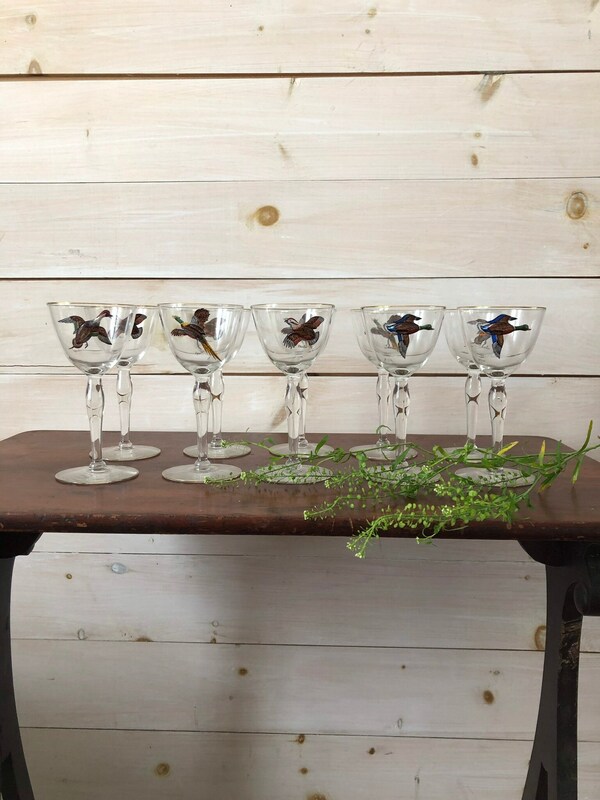 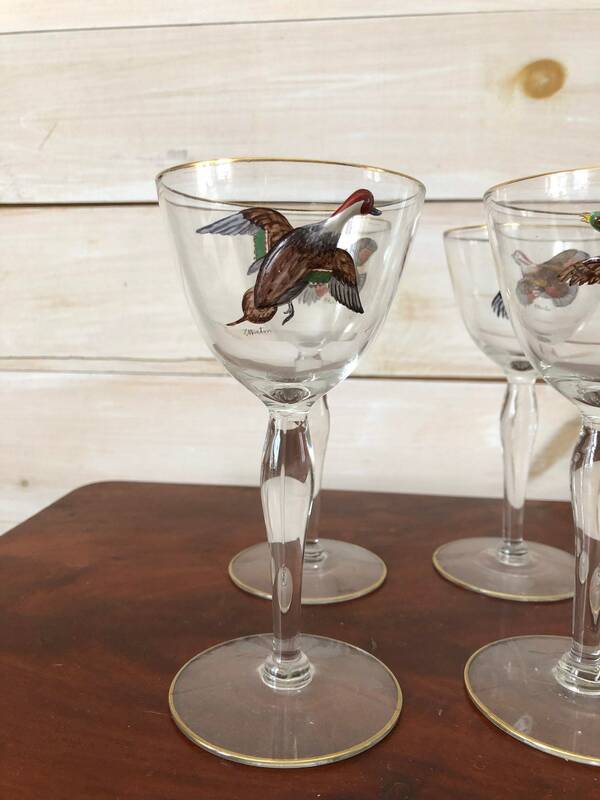 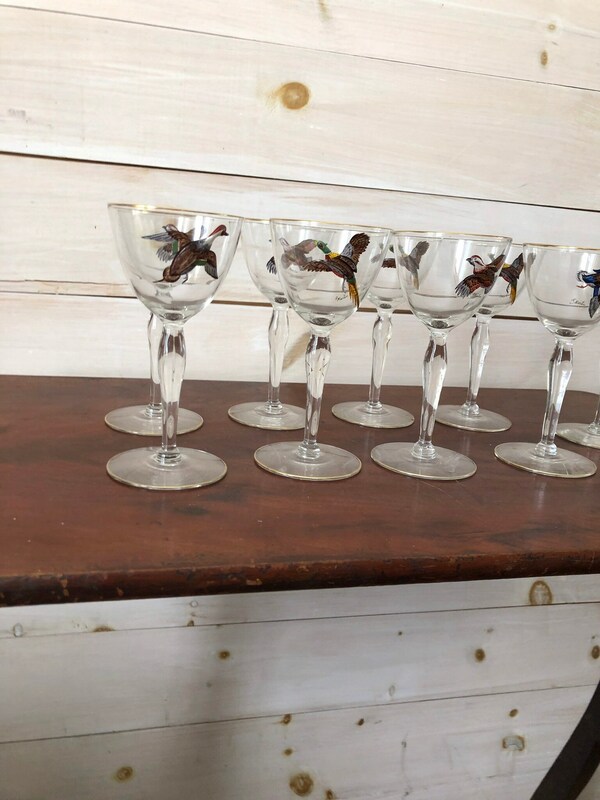 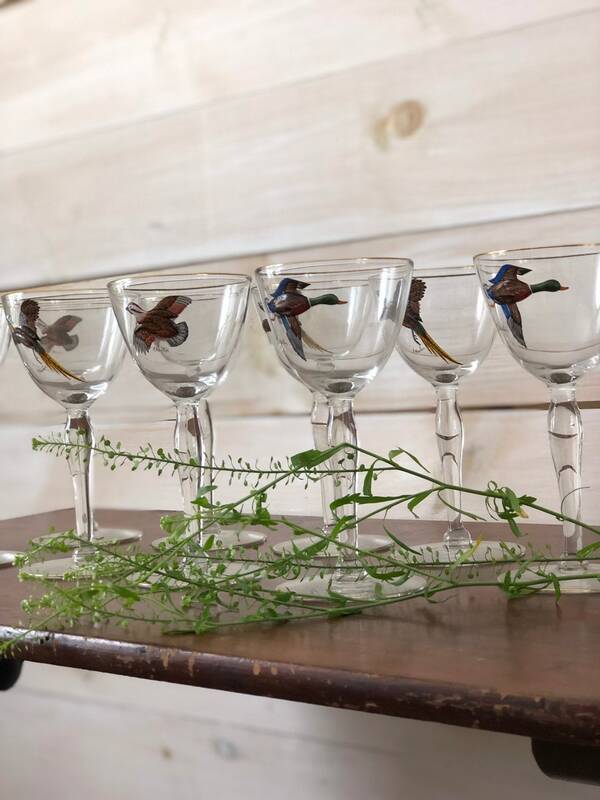 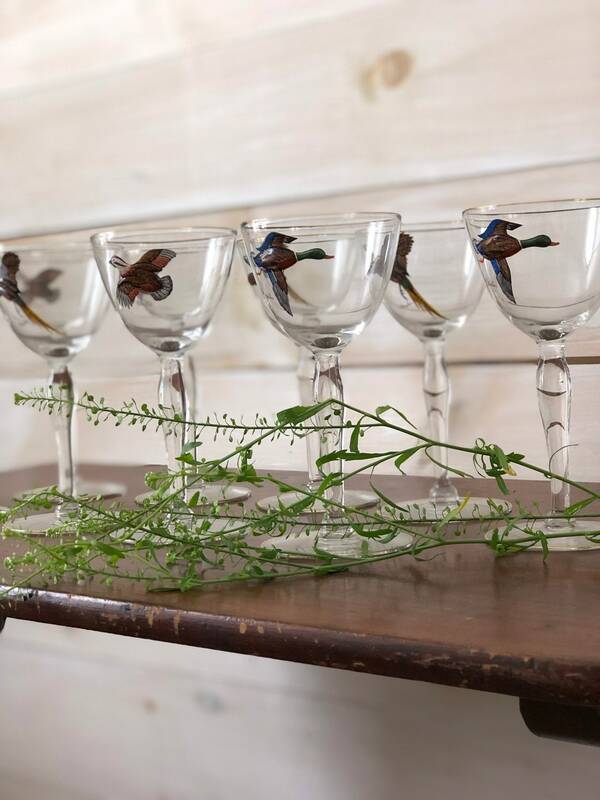 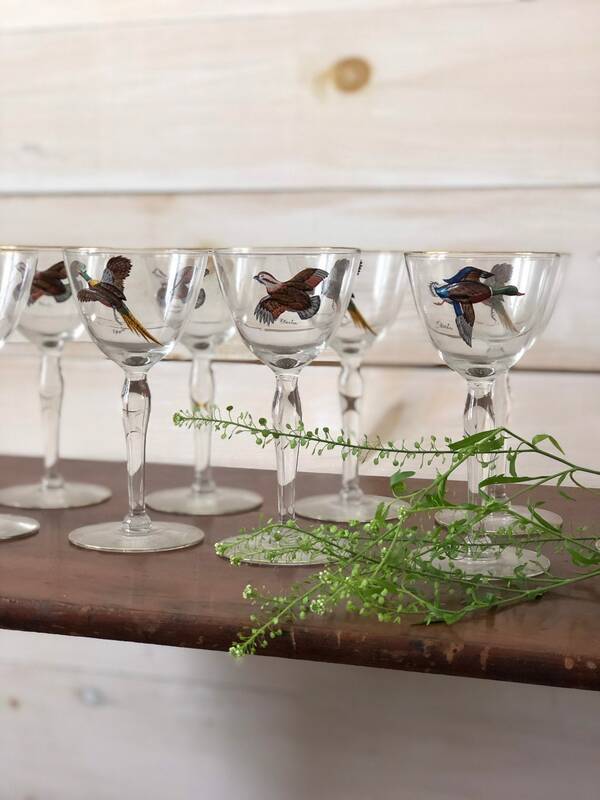 Vintage and hand painted bird glasses. 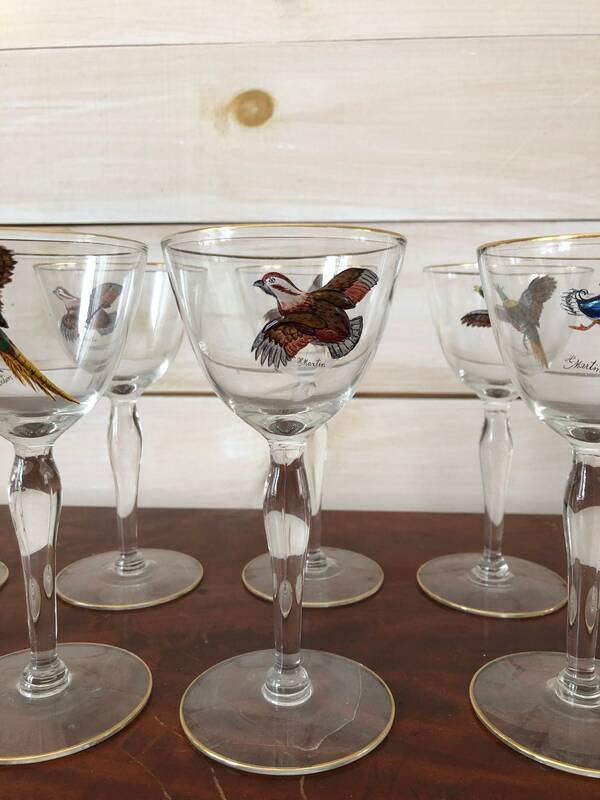 Set of 10 with 4 unique bird paintings, signed each with “H Martin”. 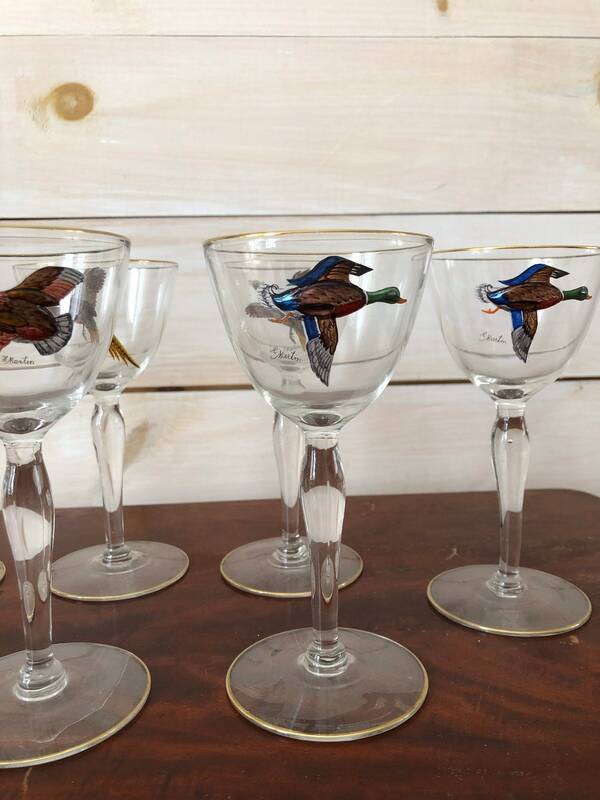 All in great condition and done with very fine hand painting. 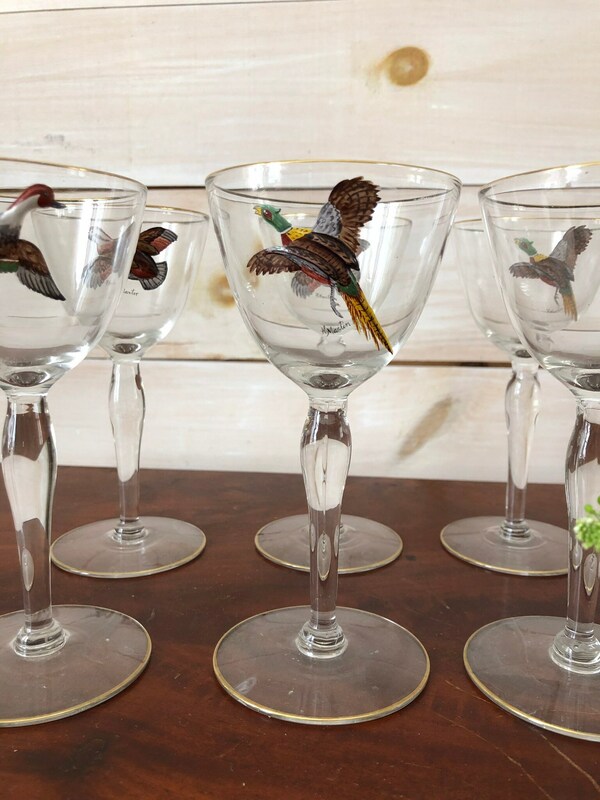 Each glass measures 6” tall by 3” in diameter.